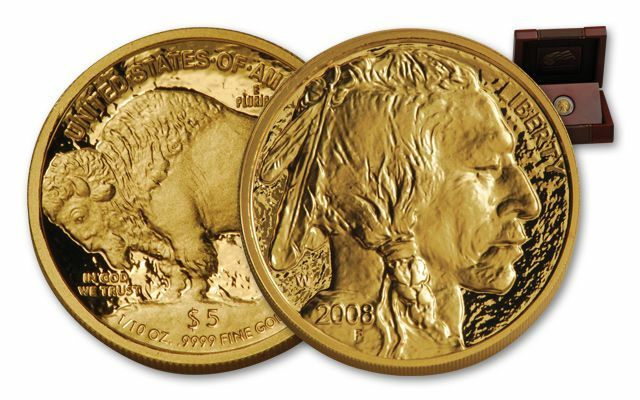 You can still own one of these first, last and only 2008 Gold Buffalo Proofs - but only if you act now! 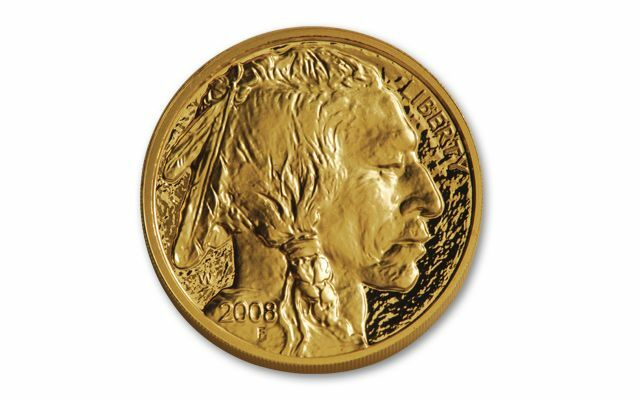 Since 2006, the U.S. Mint has released an annual One-Ounce $50 Gold Buffalo, a near-exact replica of James Earle Fraser's classic 1913 Buffalo Nickel design struck in 99.99% pure gold. The year it was introduced, it was a ground-breaking first for the mint – surpassing even the U.S. Gold Eagle series' 91.7% gold content! 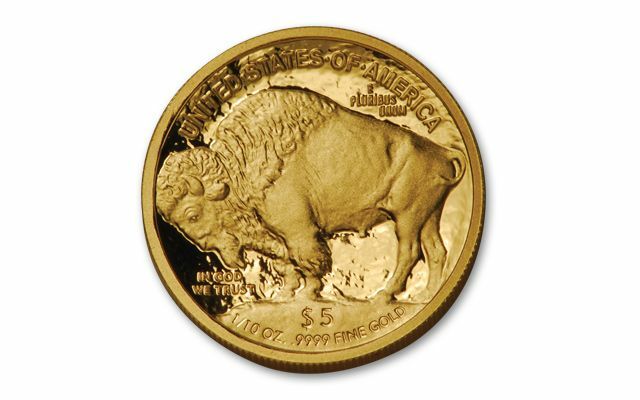 The $50 Gold Buffalo proved so popular that two years after its initial release, the U.S. Mint issued three smaller, more affordable denominations – one-tenth, one-quarter and one-half ounce coins all struck in 24 karat gold! 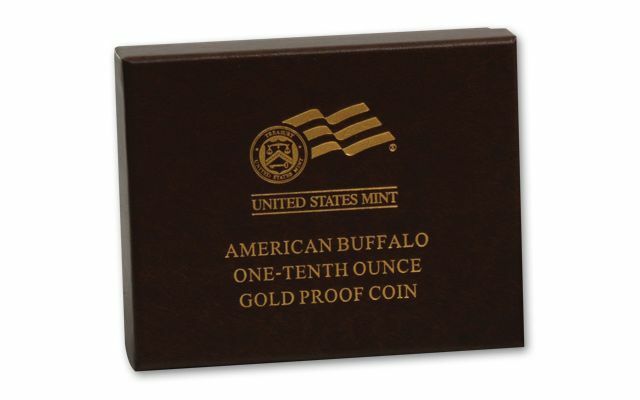 But, the opportunity to own one of these first-year fractional Gold Buffalos wouldn't last. 2008 would be their first and last appearance. And, as of today, they're the only fractional Gold Buffalos ever produced! A classic American icon brought to life in 24K Gold! 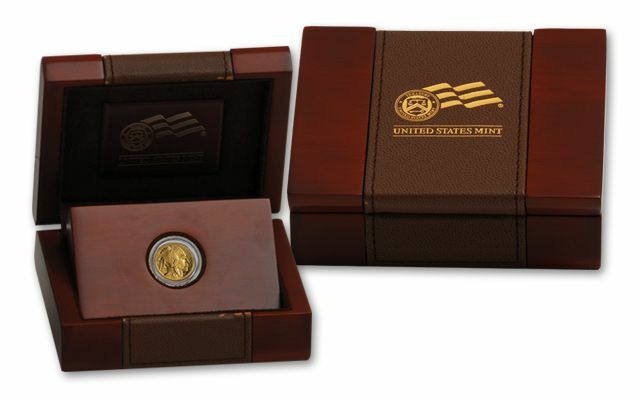 Just like the original Buffalo Nickel, these one-tenth ounce Gold Buffalo Proofs are a snapshot of America's "Old West," when outlaws galloped down from the hills to rob stagecoaches, banks and trains. It was a long-gone era by the time James Earle Fraser was commissioned to design a new 1913 nickel. But, Fraser reached back to his childhood memories to capture the perfect design and freeze it in time. The obverse features a composite portrait of three aged Native American Chiefs: John Big Tree, Two Moons and Iron Tail – George Armstrong Custer's opponent at Custer's Last Stand. On the reverse, Fraser chose to portray old Black Diamond, an American Bison then living in the Central Park Zoo in New York City. The new coin was quickly named the Buffalo Nickel, and quickly became a favorite in American pocket change! So, it's no wonder that the $50 Gold Buffalo was such a resounding success 97 years later. Or that the U.S. Mint chose to "spread the wealth" with more affordable fractional coins in 2008. But, time is running out to own these 2008 Gold Buffalos. Don't miss what could be your last opportunity to add one – or all three – of these first and last year fractional Gold Buffalo Proofs to your collection! Order now!